Retailer Media caught up with Rajesh Gupta, Founder, Freshfalsabzi to know about his plans towards the helm of the company and how the company is still surviving in an under-performing business spectrum. Online grocery is one of the most exigent businesses when it comes to sustainability and operational mechanism. Irrespective of the never depreciating consumer demand, online grocery in India has seen huge leaps and bounds since inception. With big names such as Grofers and Peppertap facing tough time to prove its worth in the market, entry barrier for startups have become more difficult. However, in this era of dusk, some startups have still stood straight against the high tides of challenges and roadblocks. Doing the same is Freshfalsabzi.com a unique farm-to-fork service that provides fresh fruit and vegetables right at the customers' doorstep. Through its special ‘Book First, Buy Later’ model, the company guarantees only the freshest fruits and vegetables, handpicked for your home. 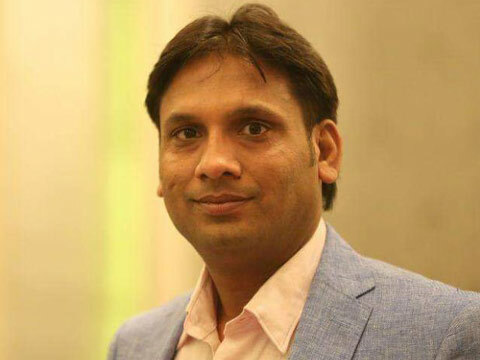 Retailer Media caught up with Rajesh Gupta, Founder, Freshfalsabzi to know more about his plans towards the helm of the company and how the company is still surviving in an under-performing business spectrum. Please share your background. Your education and whether entrepreneurship was something you always wanted to do? A philanthropist and an entrepreneur for 16 years heading diverse businessesrelated to chemicals manufacturing, financial services and waste management. I am the chairman of FFS. I completed my Graduate from Delhi University and FFS is was my dream project aimed at providing best quality fruits and vegetables to India. Lately I have roped in Sanjay Goel, as CEO and Director into FFS. Sanjay is post-graduatefrom NIFT. He has again handled diverse businesses and responsibilities in 18 years of entrepreneurial journey. From founding India's biggest lifestyle air-fragrance company (Ethnic India, now operating as #Iris fragrances), to creating a mobile web platform ‎Mobivite (acquired by Paytm), and so on. How was the idea of your Start-up conceptualized? What is the need you are addressing in the market? Clean nutritious food is the fundamental right of every human being. People care for their families’ health and they wish to buy chemical-free veggies and fruits, but good quality fruits and veggies are either too costly or existing vendors are not trusted fully to have followed all standards. So FFS will be that desired trusted household consumer brand in Fruits and Vegetables in India now. Who is your target consumer? Could you please share how you have detailed your consumer? So far we have gained acceptance with customers who value convenience, which includes mostly elderly and nuclear working couples. Later with improved procurement/production and certified minimum guaranteed nutrients content in our branded veggies, we aspire to become part of every middleclass Indian household in B2C segment and every chef’s delight in B2B segment. What is your current distribution in Brick and Mortar space? What are your future distribution plans? Currently we deliver in North Delhi, West Delhi and some parts of South Delhi households via our team of bikers and vans. Soon we will spread into entire Delhi NCR. After we have reached stage 2 and 3 in our backend procurement/production, we will go pan India with IoTified deliveries to consumers and businesses. Have you raised any funding so far? What are your plans to use this funding for? FFS is mostly self-funded venture. These funds are enough for us to launch deliveries in few more local markets that is South Delhi, Noida and Gurgaon. Later we will raise funds for 3 stages of growth as explained later. What was it that attracted the Investors to your business? Have you had to pivot your business in anyways that has worked for you? We hate to be seen as a runner boys management company which others doin guise of a grocery e-com. We have real value to deliver, that is your good health, so we innovate and research on better agri-production and handling to bring good quality fruits and vegetables for your family.Consumers love us for cleanest and healthiest veggies/fruits they can get, and investors will love us for scalable and profitable business made possible with our unique IP related to tech use in production/procurement, our profit ensuring demand-supply mapping algorithms, least/zero wastage package and delivery operations, which together ensure best returns on investment. We are working on demand creation by educating the importance and making available healthy FS at similar/slightly better market price. Alongside we are ensuring benchmarked procurement by experts and smoother supply post- ultrasonic/ozone cleaning of FS. Later FFS will deliver the FS from our franchise owned company operated organic farms and hydroponic centers. We have started acquiring know-how and started sampling experiments already in this direction. Once we crack this model, we might not need any external funding except when we want to expand geographically quickly and mass market hysteria needs to be generated via mass advertising. What is your team size? What is your office culture like? We are a team of 50 people including the delivery team. Impressed by FFS mission to provide clean food to India, it is joined by Sanjay Goel as CEO and director in May 2016. Office culture is reflection of your top management. Rajesh brings seriousness and meticulous working ideology from his manufacturing background, which forms the core of business; and Sanjay fosters innovation, remain non-hierarchical, and promote fun and learning environment in office. We invited few FFS customer with their family, picked randomly, to celebrate our 1st year of operations and we captured feedback from them. We were delighted by so much positivity and innovative ideas they shared. We loved every second of that event. What has been your biggest challenge so far in scaling -up? How are you addressing it? Consumer behavior is to resist planned purchase of FS. They want to buy adhoc for their immediate need. We are making them aware that planned orders let our experts pick best FS from market and we deliver fresh clean healthy products to them. Educating them about importance of in-house intense cleansing of each item to remove all harmful chemicals, pesticides, insecticides, traces of artificial ripeners, shining wax, is helping us gain confidence of quality conscious and health conscious consumers. For convenience loving customers we are adding smart features to our mobile app that offers similar feel as buying from roadside rehdi vendor like using nearby/proximity notifications, tomorrow’s wish list etc. How do you see growth scenario is this business? What are your future scale-up plans? Everyone buys vegetables and fruits. There is not a single reliable brand in veggies which people can trust for their health. This industry will grow to INR …………billion by 2020. To capture this enormous market, on supply side we are building and bringing world-class cultivation technology to India to efficiently produce nutrients-rich, zero pesticides FFS. FFS will become 1st and most preferred brand known for hygienic and nutritious vegetables and fruits and on demand side we are expanding operations again using IOTified logistics and developing easiest ordering interfaces for consumers. Our journey will be escalated in 3 stages. From providing cleanest FFS, to farm picked fresh produce, to nutrients rich certified FFS from company controlled franchised farms. With each stage there will be reduction in cost of procurement, increase in variety, improvement in quality of FFS, a better living for farmers, a far bigger reach out to consumers, and all this will be done via combinations of agri-tech and mobile tech. All our IT and agri-tech will be designed and applied to ensure modular application. We aspire to involve farmers, land owners, business owners, delivery logistics in this revolution called “Fresh FalSabzi” for India.